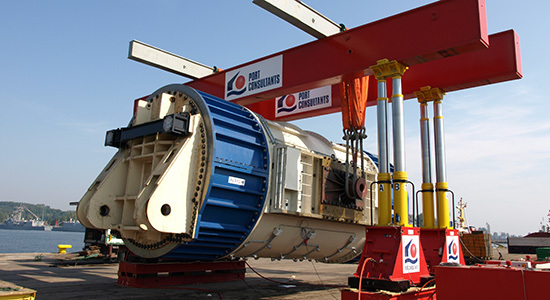 Mobile hydraulic gantry is designed for handling and lifting heavy industrial components weighing up to 725 tons to a height of more than 8 meters. 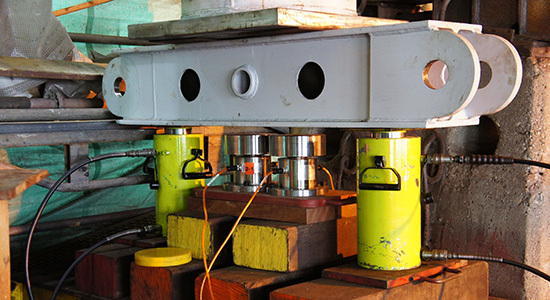 4 sets consisting of four 100 ton sensors. The total weight of the item to be weighed can be up to 1,600 tons. Hydraulic skidding set consists of sliding beams, hydraulic jacks and sliding carts. Allows moving heavy objects up to 5000 tons. 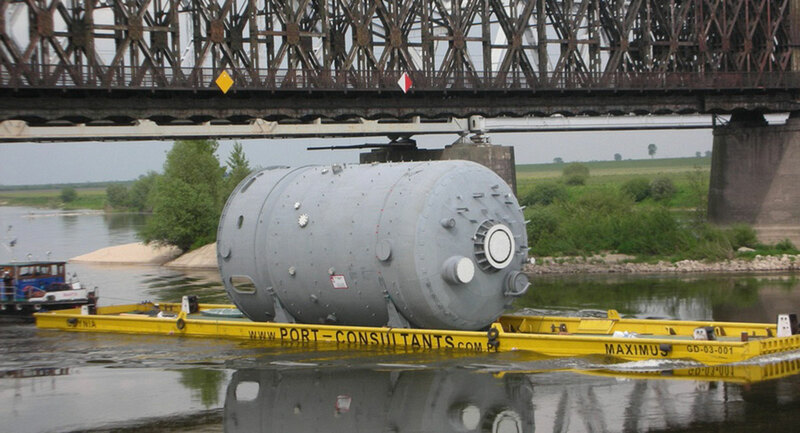 Suitable for transportation of heavy installations up to 300 tons, in inland shallow waters (eg rivers).